It's been a while since I've posted on here! Sorry - life gets in the way and it's been a bit crazy since the year started. You can always catch all my outfits though on instagram or shop them here. Anyway, I've been loving trench coats and pinstripes lately and this beauty combines them both. 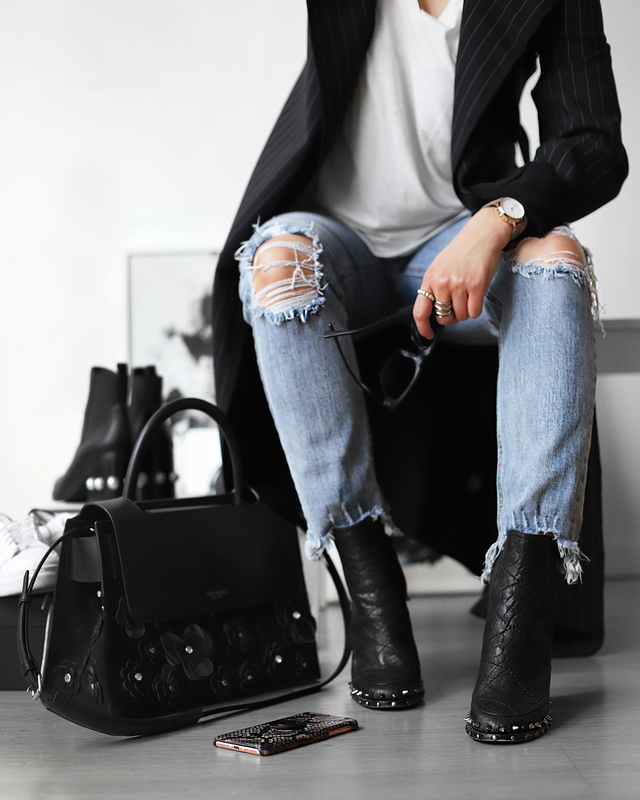 Loving it with jeans and hoodies but I've also paired it with all black for effortless on-the-go and of course a white tee and killer boots. I always love outerwear that makes the outfit and is incredibly versatile.